In-Line Freight Solution, our member in Cape Town, South Africa, is about to celebrate their 10th Anniversary in January 2019. In the last one decade, Globalia Cape Town has emerged as one of the market leaders in the logistics and freight forwarding industry in Cape Town and continues to grow stronger. Moreover, their 10th Anniversary has coincided with the joining of a new member in their team. 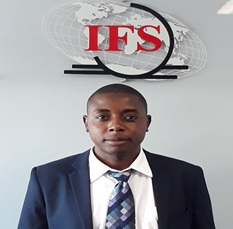 In-Line South Africa has recently welcomed a new member, Arthur Bonyongwa, who joined their team in the capacity of Sales and Marketing Coordinator. “I am really looking forward to working with my new teammates. It’s really a great pleasure to be a part of one of the most dynamic logistics service providers of this city!” says Mr. Bonyongwa. A Very Happy 10th Anniversary to In-Line Freight Solution and wishing them the very best for their future endeavours!